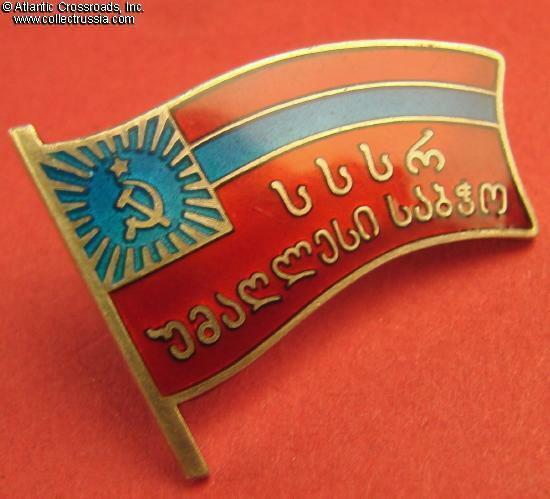 Supreme Soviet of Georgia membership badge, screw back, numbered, 5th Convocation, 1959. Silver gilt, enamels; measures 25.1 mm tall at the flagpole, 34.0 mm wide. 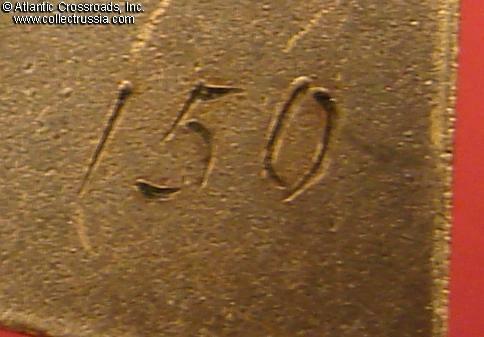 Engraved number "150" on the reverse. 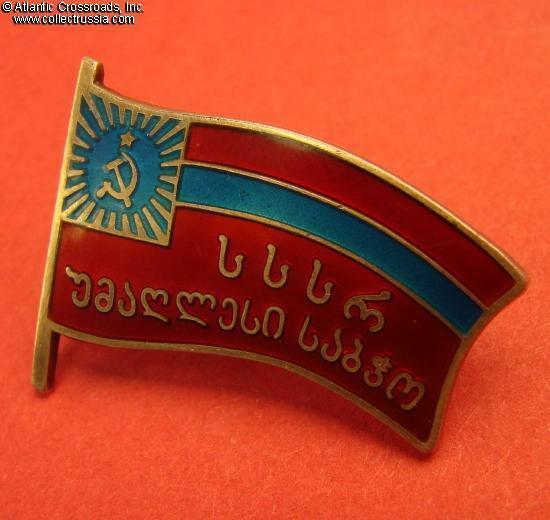 The badge exhibits superb quality typical of all Supreme Soviet badges. 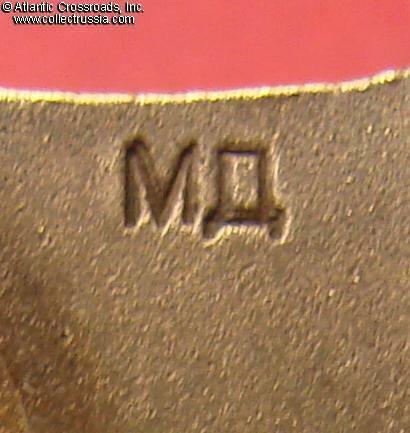 This is a very early issue with stamped maker mark "MD"; note that the square shape of the "D" points out that this badge could be issued only in 1959, to one of the members of the 5th Convocation of the Georgian Supreme Soviet. 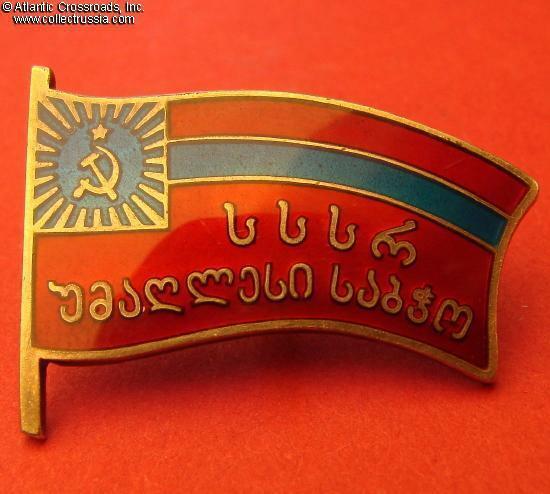 That year, Supreme Soviet of Georgian SSR comprised only 368 members. In excellent condition. 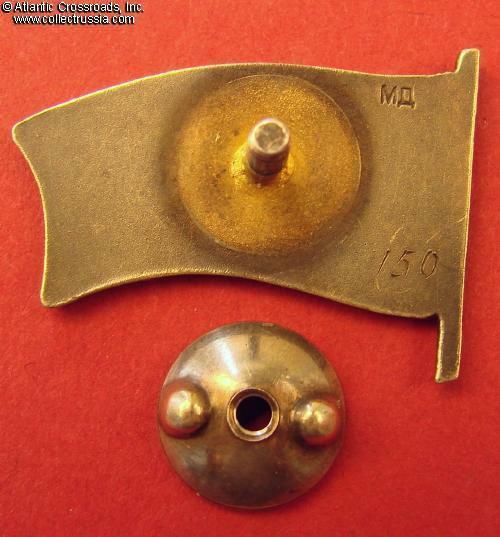 The enamel shows only a few tiny contact marks, no chips, flakes, rubbing or significant scratches. The gilt on the reverse is partly obscured by silver patina but still clearly visible. 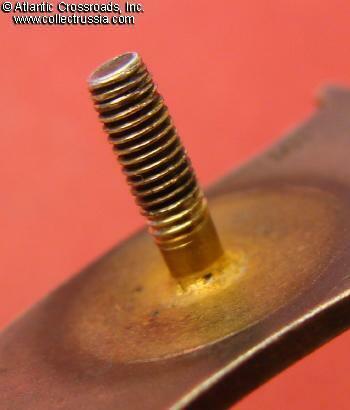 The screw post is full length, approx. 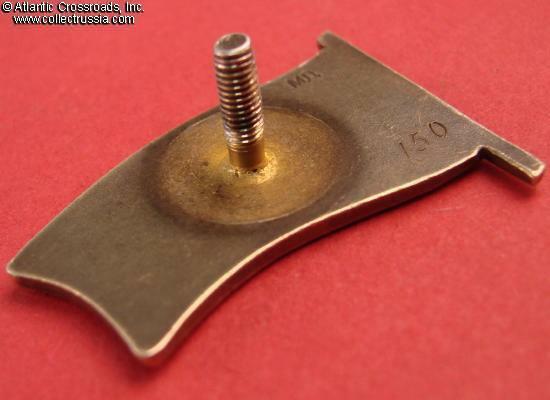 10 mm, and includes original silver screw plate.